On this date in 1971 East Pakistan declared independence from the state of Pakistan initiating the Bangladesh Liberation War, a revolutionary independence war in South Asia during 1971 which established the republic of Bangladesh. The war pitted East Pakistan (later joined by India) against West Pakistan, and lasted for nine months. It witnessed large-scale atrocities by West Pakistan, the exodus of 10 million refugees and the displacement of 30 million people. The war broke out on 26 March 1971, when the Pakistani Army launched a military operation called Operation Searchlight against Bengali (Bangladeshi) civilians, students, intelligentsia and armed personnel, who were demanding that the Pakistani military junta accept the results of the 1970 first democratic elections of Pakistan, which were won by an eastern party, or to allow separation between East and West Pakistan. Bengali politicians and army officers announced the declaration of Bangladesh’s independence in response to Operation Searchlight. 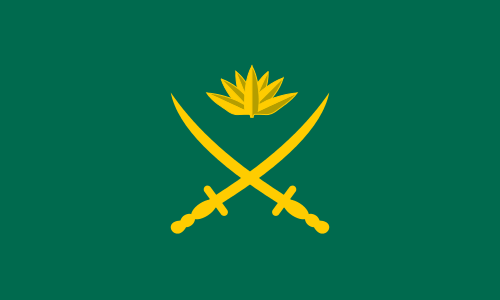 Bengali military, paramilitary and civilians formed the Mukti Bahini (“Liberation Army”), which engaged in guerrilla warfare against Pakistani forces. The Pakistan Army, in collusion with religious extremist militias (the Razakars, Al-Badr and Al-Shams), engaged in the systematic genocide and atrocities against Bengali civilians, particularly nationalists, intellectuals, youth, and religious minorities. A Bangladesh government-in-exile was set up in the city of Calcutta (now Kolkata) in the Indian State of West Bengal. India entered the war on 3 December 1971, after Pakistan launched pre-emptive air strikes on northern India. Overwhelmed by two war fronts, Pakistani defenses soon collapsed. On 16 December, the Allied Forces of Bangladesh and India defeated Pakistan in the east. The subsequent surrender resulted in the largest number of prisoners-of-war since World War II. In August 1947, the official birth of two states, Pakistan and India, gave what were supposed to be permanent homes for Muslims and Hindus respectively following the departure of the British. The Dominion of Pakistan comprised two geographically and culturally separate areas to the east and the west with India in between. The western zone was popularly (and for a period of time, also officially) termed West Pakistan and the eastern zone (modern-day Bangladesh) was initially termed East Bengal and later, East Pakistan. Although the population of the two zones was close to equal, political power was concentrated in West Pakistan and it was widely perceived that East Pakistan was being exploited economically, leading to many grievances. Administration of two discontinuous territories was also seen as a challenge. On 25 March 1971, after an election won by an East Pakistani political party (the Awami League) was ignored by the ruling (West Pakistani) establishment, rising political discontent and cultural nationalism in East Pakistan were met by brutal suppressive force from the ruling elite of the West Pakistan establishment, in what came to be termed Operation Searchlight. The violent crackdown by West Pakistan forces led to Awami League leader Sheikh Mujibur Rahman declaring East Pakistan’s independence as the state of Bangladesh on 26 March 1971. Pakistani President Agha Mohammed Yahya ordered the Pakistani military to restore the Pakistani government’s authority, beginning the civil war. The war led to a sea of refugees (estimated at the time to be about 10 million) flooding into the eastern provinces of India. Facing a mounting humanitarian and economic crisis, India started actively aiding and organizing the Bangladeshi resistance army known as the Mukti Bahini. Ethnic and linguistic discrimination was a key factor in the rise of Bengali nationalist sentiment. In 1948, Governor General Mohammad Ali Jinnah declared that “Urdu, and only Urdu” would be the federal language of Pakistan. However, Urdu was historically prevalent only in the north, central and western region of the subcontinent; whereas in East Bengal, the native language was Bengali, the most easterly branch of the Indo-European languages. 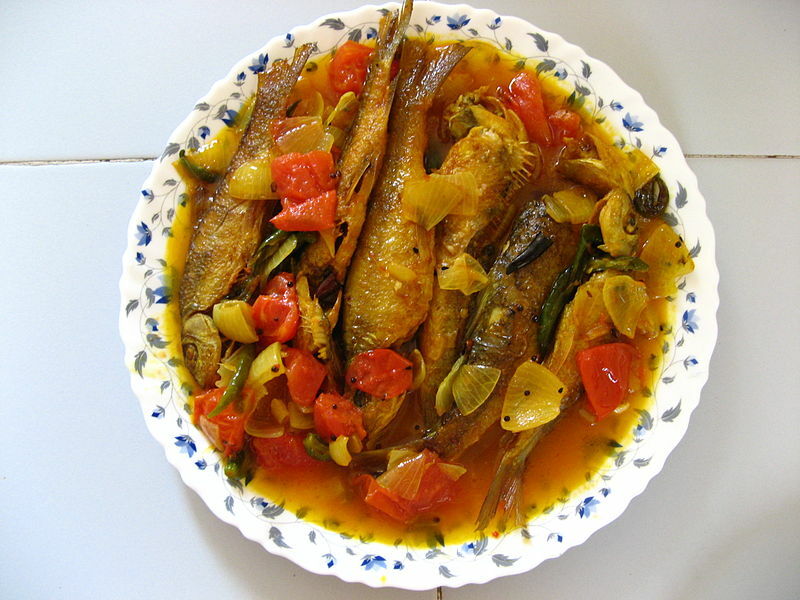 The Bengali-speaking people of Pakistan constituted over 50% of the country’s population. The government stand was widely viewed as an attempt to suppress the culture of the eastern wing. The people of East Bengal demanded that their language be given federal status alongside Urdu and English. The Bengali Language Movement began in 1948, as civil society protested the removal of the Bengali script from currency and stamps, which were in place since the British Raj. The movement reached its climax in 1952, when on 21 February, the police fired on protesting students and civilians, causing several deaths. The day is revered in Bangladesh as the Language Martyr’s Day. Later, in memory of the 1952 deaths, UNESCO declared 21 February as International Mother Language Day in 1999. Although East Pakistan had a larger population, West Pakistan dominated the divided country politically and received more money from the common budget. Bengalis were also under-represented in the Pakistan military. Officers of Bengali origin in the different wings of the armed forces made up just 5% of overall force by 1965; of these, only a few were in command positions, with the majority in technical or administrative posts. West Pakistanis believed that Bengalis were not “martially inclined” unlike Pashtuns and Punjabis; the “Martial Races” notion was dismissed as ridiculous and humiliating by Bengalis. Moreover, despite huge defense spending, East Pakistan received none of the benefits, such as contracts, purchasing and military support jobs. 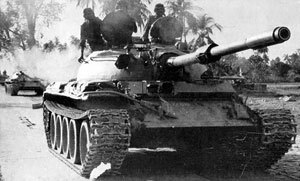 The Indo-Pakistani War of 1965 over Kashmir also highlighted the sense of military insecurity among Bengalis, as only an under-strength infantry division and 15 combat aircraft without tank support were in East Pakistan to thwart any Indian retaliations during the conflict. Although East Pakistan accounted for a slight majority of the country’s population, political power remained in the hands of West Pakistanis. Since a straightforward system of representation based on population would have concentrated political power in East Pakistan, the West Pakistani establishment came up with the “One Unit” scheme, where all of West Pakistan was considered one province. This was solely to counterbalance the East wing’s votes. After the assassination of Liaquat Ali Khan, Pakistan’s first prime minister, in 1951, political power began to devolve to the new President of Pakistan, which replaced the office of Governor General when Pakistan became a republic, and, eventually, the military. The nominal elected chief executive, the Prime Minister, was frequently sacked by the establishment, acting through the President. The East Pakistanis observed that the West Pakistani establishment would swiftly depose any East Pakistani elected Prime Minister of Pakistan, such as Khawaja Nazimuddin, Muhammad Ali Bogra, or Huseyn Shaheed Suhrawardy. Their suspicions were further influenced by the military dictatorships of Ayub Khan (27 October 1958 – 25 March 1969) and Yahya Khan (25 March 1969 – 20 December 1971), both West Pakistanis. The situation reached a climax in 1970, when the Awami League, the largest East Pakistani political party, led by Sheikh Mujibur Rahman, won a landslide victory in the national elections. The party won 167 of the 169 seats allotted to East Pakistan, and thus a majority of the 313 seats in the National Assembly. This gave the Awami League the constitutional right to form a government. However, Zulfikar Ali Bhutto (a former Foreign Minister), the leader of the Pakistan Peoples Party, refused to allow Rahman to become the Prime Minister of Pakistan. Instead, he proposed the idea of having two Prime Ministers, one for each wing. The proposal elicited outrage in the east wing, already chafing under the other constitutional innovation, the “One Unit scheme”. Bhutto also refused to accept Rahman’s Six Points. On 3 March 1971, the two leaders of the two wings along with the President General Yahya Khan met in Dacca to decide the fate of the country. 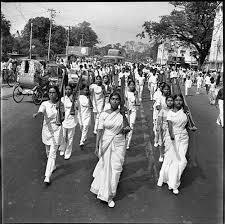 After their discussions yielded no satisfactory results, Sheikh Mujibur Rahman called for a nationwide strike. Bhutto feared a civil war, therefore, he sent his trusted companion, Dr. Mubashir Hassan. Mujib decided to meet Bhutto. Upon his arrival, Mujib met with Bhutto and both agreed to form a coalition government with Mujib as Premier and Bhutto as President. However, the military was unaware of these developments, and Bhutto increased his pressure on Mujib to reach a decision. Immediate transfer of power to the elected representative of the people before the assembly meeting on 25 March. He urged his people to turn every house into a fort of resistance. He closed his speech saying, “Our struggle is for our freedom. Our struggle is for our independence.” This speech is considered the main event that inspired the nation to fight for its independence. General Tikka Khan was flown into Dacca to become Governor of East Bengal. East-Pakistani judges, including Justice Siddique, refused to swear him in. Between 10 and 13 March, Pakistan International Airlines cancelled all their international routes to urgently fly “government passengers” to Dacca. These “government passengers” were almost all Pakistani soldiers in civilian dress. MV Swat, a ship of the Pakistan Navy carrying ammunition and soldiers, was harbored in Chittagong Port, but the Bengali workers and sailors at the port refused to unload the ship. A unit of East Pakistan Rifles refused to obey commands to fire on the Bengali demonstrators, beginning a mutiny among the Bengali soldiers. 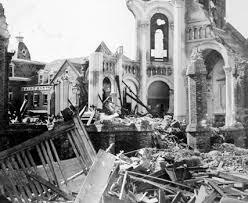 The 1970 Bhola cyclone made landfall on the East Pakistan coastline during the evening of 12 November, around the same time as a local high tide, killing an estimated 300,000 to 500,000 people. Though the exact death toll is not known, it is considered the deadliest tropical cyclone on record. A week after the landfall, President Khan conceded that his government had made “slips” and “mistakes” in its handling of the relief efforts due to a lack of understanding of the magnitude of the disaster. A statement released by eleven political leaders in East Pakistan ten days after the cyclone hit charged the government with “gross neglect, callous and utter indifference”. They also accused the president of playing down the magnitude of the problem in news coverage. On 19 November, students held a march in Dacca protesting the slowness of the government’s response. Maulana Abdul Hamid Khan Bhashani addressed a rally of 50,000 people on 24 November, where he accused the president of inefficiency and demanded his resignation. As the conflict between East and West Pakistan developed in March, the Dacca offices of the two government organizations directly involved in relief efforts were closed for at least two weeks, first by a general strike and then by a ban on government work in East Pakistan by the Awami League. With this increase in tension, foreign personnel were evacuated over fears of violence. Relief work continued in the field, but long-term planning was curtailed. This conflict widened into the Bangladesh Liberation War in December and concluded with the creation of Bangladesh. This was one of the few times that a natural event helped trigger a civil war. A planned military pacification carried out by the Pakistan Army – codenamed Operation Searchlight – started on 25 March to curb the Bengali nationalist movement by taking control of the major cities on 26 March, and then eliminating all opposition, political or military, within one month. Before the beginning of the operation, all foreign journalists were systematically deported from East Pakistan. The main phase of Operation Searchlight ended with the fall of the last major town in Bengali hands in mid-May. The operation also began the 1971 Bangladesh atrocities. These systematic killings served only to enrage the Bengalis, which ultimately resulted in the secession of East Pakistan later in the same year. The international media and reference books in English have published casualty figures which vary greatly, from 5,000–35,000 in Dacca, and 200,000–3,000,000 for Bangladesh as a whole, and the atrocities have been referred to as acts of genocide. At a meeting of the military top brass, Yahya Khan declared: “Kill 3 million of them and the rest will eat out of our hands.” Accordingly, on the night of 25 March, the Pakistani Army launched Operation Searchlight to “crush” Bengali resistance in which Bengali members of military services were disarmed and killed, students and the intelligentsia systematically liquidated and able-bodied Bengali males just picked up and gunned down. Although the violence focused on the provincial capital, Dacca, it also affected all parts of East Pakistan. Residential halls of the University of Dacca were particularly targeted. The only Hindu residential hall – Jagannath Hall – was destroyed by the Pakistani armed forces, and an estimated 600 to 700 of its residents were murdered. The Pakistani army denied any cold blooded killings at the university, though the Hamood-ur-Rehman commission in Pakistan concluded that overwhelming force was used at the university. This fact, and the massacre at Jagannath Hall and nearby student dormitories of Dacca University, are corroborated by a videotape secretly filmed by Professor Nurullah of the East Pakistan Engineering University, whose residence was directly opposite the student dormitories. The scale of the atrocities was first made clear in the West when Anthony Mascarenhas, a Pakistani journalist who had been sent to the province by the military authorities to write a story favourable to Pakistan’s actions, instead fled to the United Kingdom and, on 13 June 1971, published an article in the Sunday Times describing the systematic killings by the military. The BBC wrote: “There is little doubt that Mascarenhas’ reportage played its part in ending the war. It helped turn world opinion against Pakistan and encouraged India to play a decisive role”, with Indian Prime Minister Indira Gandhi herself stating that Mascarenhas’ article has led her “to prepare the ground for India’s armed intervention”. Sheikh Mujibur Rahman was arrested by the Pakistani Army. Yahya Khan appointed Brigadier (later General) Rahimuddin Khan to preside over a special tribunal prosecuting Mujib with multiple charges. The tribunal’s sentence was never made public, but Yahya caused the verdict to be held in abeyance in any case. Other Awami League leaders were arrested as well, while a few fled Dacca to avoid arrest. The Awami League was banned by General Yahya Khan. 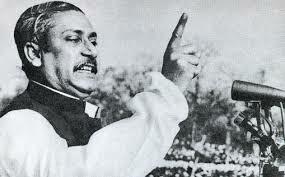 Sheikh Mujib also called upon the people to resist the occupation forces through a radio message. Mujib was arrested on the night of 25–26 March 1971 at about 1:30 am (as per Radio Pakistan’s news on 29 March 1971). A telegram containing the text of Sheikh Mujibur Rahman’s declaration reached some students in Chittagong. The message was translated into Bengali by Dr. Manjula Anwar. The students failed to secure permission from higher authorities to broadcast the message from the nearby Agrabad Station of Radio Pakistan. However, the message was read several times by the independent Swadhin Bangla Betar Kendro Radio established by some rebel Bangali Radio workers in Kalurghat. Major Ziaur Rahman was requested to provide security of the station and he also read the Declaration on 27 March 1971. Major Ziaur Rahman broadcast announcement of the declaration of independence on behalf of Sheikh Mujibur Rahman. This is Swadhin Bangla Betar Kendra. I, Major Ziaur Rahman, at the direction of Bangobondhu Mujibur Rahman, hereby declare that Independent People’s Republic of Bangladesh has been established. At his direction , I have taken the command as the temporary Head of the Republic. In the name of Sheikh Mujibur Rahman, I call upon all Bengalees to rise against the attack by the West Pakistani Army. We shall fight to the last to free our motherland. Victory is, by the Grace of Allah, ours. 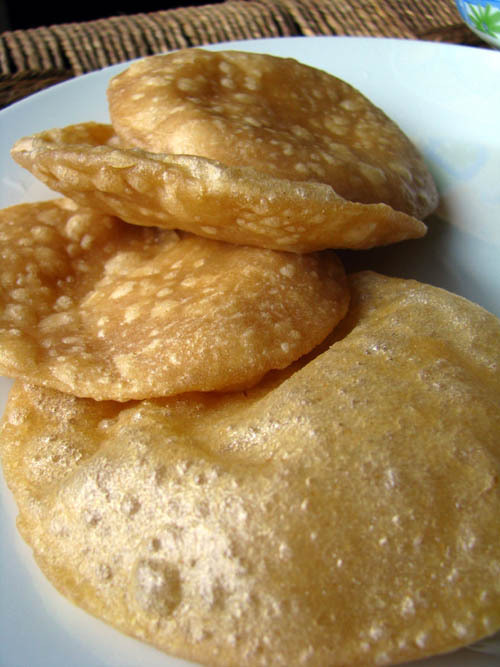 Joy Bangla. M. A. Hannan, an Awami League leader from Chittagong, is said to have made the first announcement of the declaration of independence over the radio on 26 March 1971. There is controversy now as to when Major Zia gave his speech. BNP sources maintain that it was 26 March, and there was no message regarding declaration of independence from Mujibur Rahman. Pakistani sources, like Maj. Gen. Fazal Muqeem Khan in his book Pakistan’S Crisis In Leadership, Brigadier Zahir Alam Khan in his book “The Way It Was, and Lt. Gen. Kamal Matinuddin in his book “Tragedy Of Errors: East Pakistan Crisis, 1968–1971 had written that they heard Major Zia’s speech on 26 March 1971, but Maj. Gen. Hakeem A. Qureshi in his book The 1971 Indo-Pak War: A Soldier’s Narrative, gives the date of Major Zia’s speech as 27 March 1971. 26 March 1971 is considered the official Independence Day of Bangladesh, and the name Bangladesh was in effect henceforth. In July 1971, Indian Prime Minister Indira Gandhi openly referred to the former East Pakistan as Bangladesh. 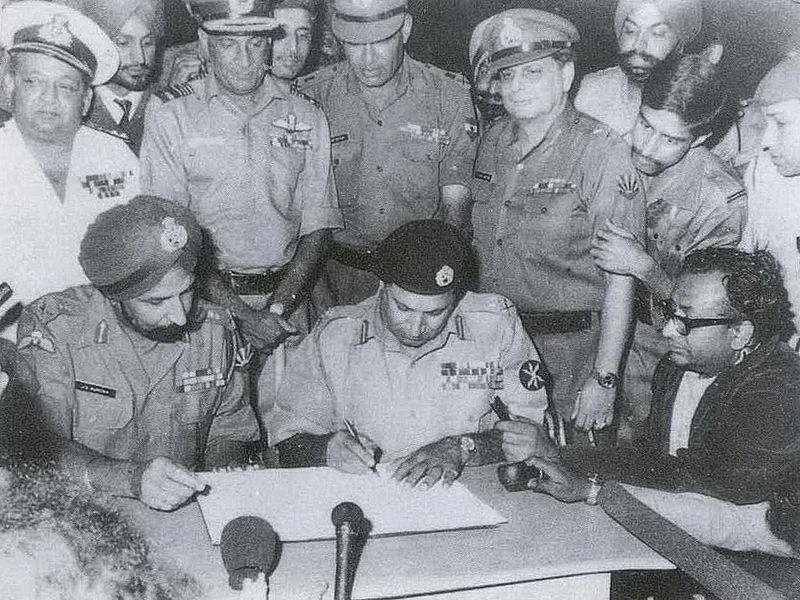 Some Pakistani and Indian officials continued to use the name “East Pakistan” until 16 December 1971 when the war ended with Pakistan’s surrender. 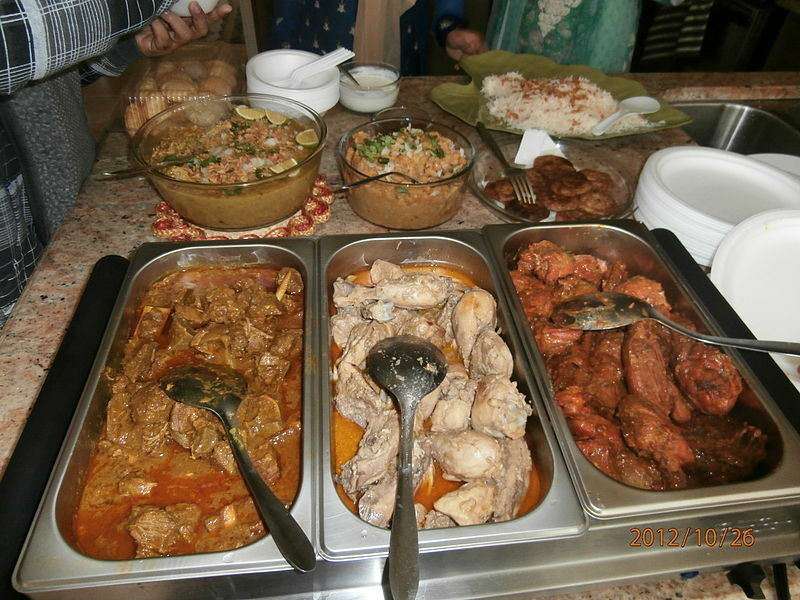 In Bangladeshi cuisine, some foods are popular across the entire region, while others are specific to a particular area. 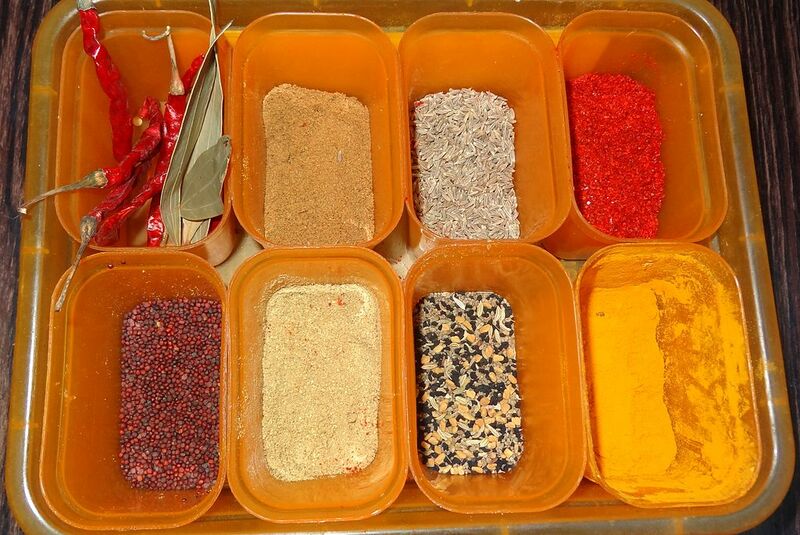 Rice and pulses (especially lentils) are the staples, and there is a rich palette of spices. 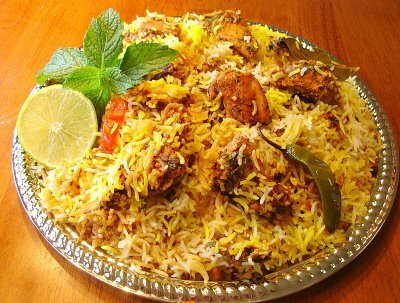 One of the most popular Bangladeshi dishes is biryani, rice and meat with an abundance of spices. 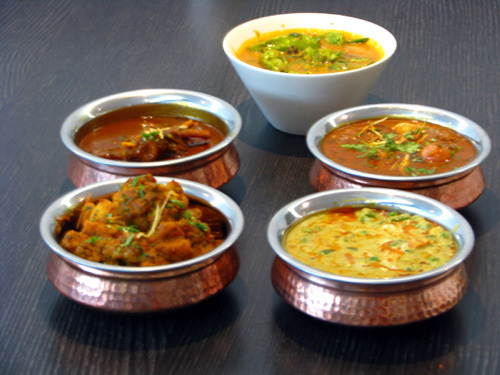 In truth biryani is found all across South and South-East Asia in one form or another, each region having its own variations. 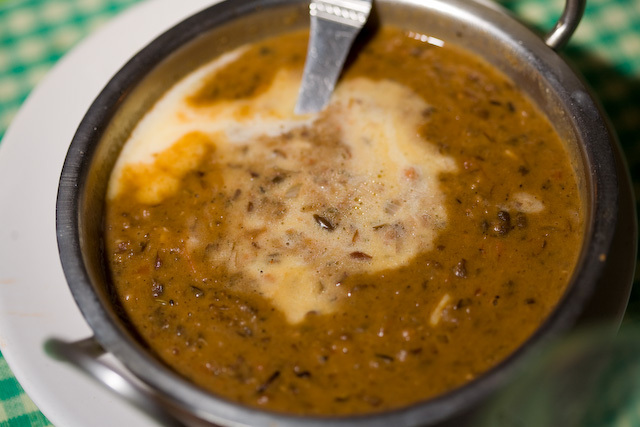 Making biryani from scratch is a long skilled process and few cooks go to such lengths nowadays. 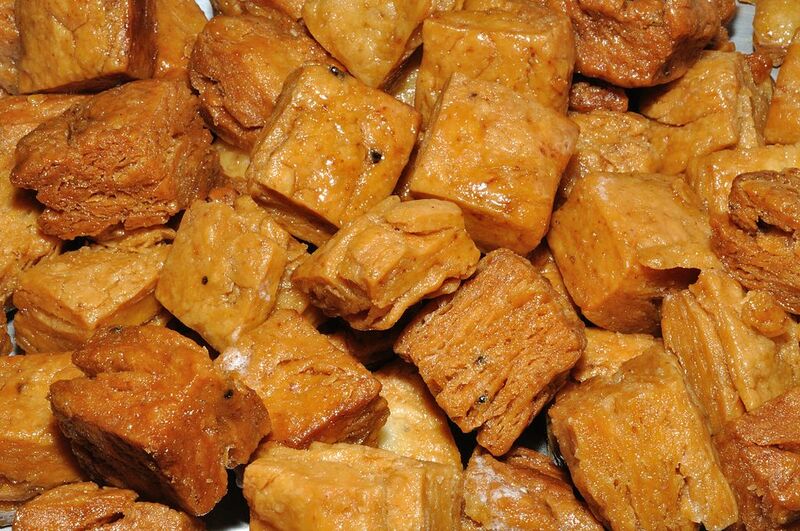 But for special occasions, such as weddings, cooks go the whole nine yards. This is a terrific website giving meticulously detailed instructions with pictures for a dish that serves 25. If you are going to make it from scratch you might as well make a lot.